This is partly due to a rise in consumers moderating their drinking habits (driven also by initiatives such as Dry January and Go Sober for October) but also because of rapid advances in the quality and taste of the products coming to market. 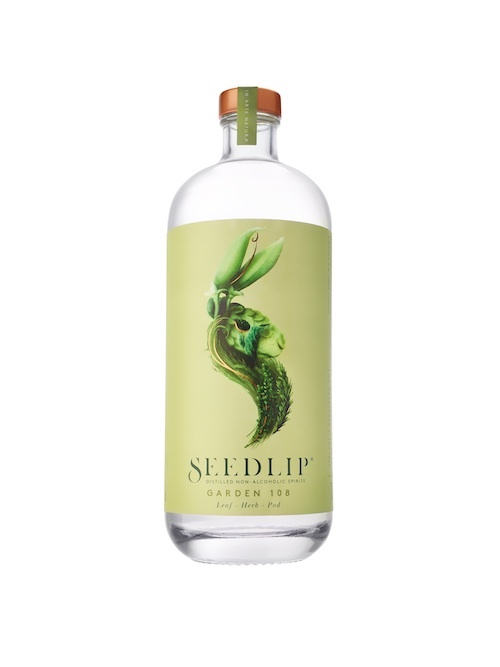 Seedlip is a great example of the changing face of NPD in this market and its success is clear – not only has the non-alcoholic spirit picked up listings around the country but the company says it now ranks as Selfridges’ best-selling spirit. Retailers are keeping a close eye on this market of course, but without a catchall name the drinks are often banded together with soft drinks, mixers, or thrown in with their “full-fat” alcohol counterparts. For a similar reason it’s hard to examine sales figures for what is not yet a well-defined category. But Nielsen data shows that total no/ low-alcohol (covering just wine and beer) has been growing year on year, with value sales for this year at £73.1 million, compared to £66.5 million a year ago. The biggest growth here is for no/low-alcohol beer, which grew £5.6 million over the same period, to £35.5 million. A buzz around all styles and flavours of beer has no doubt helped encourage trial for no/low- alcohol options and new variants have helped push the quality message. In addition, some big beer and cider names moving into low and no-alcohol – Heineken 0.0 and Stowford Press LA are just two examples, along with the ongoing success of Brewdog’s Nanny State – gives a strong indication that this category is set to get bigger. Big Drop Brewing is focusing solely on this sector with brews of no more than 0.5% abv. The brewer, which brought its first beer (a stout) to market at the end of 2016, now also has a pale ale, a spiced ale and a lager. Founder Rob Fink says: “There’s been exceptional interest in the full range as it’s really been the first time that people who choose not to drink have had a credible option of choosing from a repertoire of drinks rather than just a one-off beer, often a lager. “From our first online listing with drydrinker.com, sales have expanded beyond the low-alcohol and alcohol-free specialist into other online distributors, craft beer bars and a host of bottle shops around the country. Fink points to variety as being the key in developing the sector, and says he expects to see more competition “which will drive innovation and quality even further”. Big Drop has plans for a new series of beers, along with seasonal beers on rotation. Suffolk-based St Peter’s is another brewer that has been giving more focus to this consumer trend, along with other movements such as gluten-free. Chief executive Steve Magnall says: “St Peter’s Without Original picked up listings with Tesco in March this year to be sold nationwide as part of its dedicated no and low-alcohol section. It also became available in the East of England Co-op as well as Nisa. Magnall says he believes this category has “massive potential”, particularly considering that one in five millennials don’t drink, while the maximum amount recommended for men to consume has dropped to 14 units per week. But he says that the industry needs to “remember to distinguish between low and no-alcohol products”. St Peter’s is currently working on an Organic Without, which will be launched before the end of this year. Spirits is tipped to be another growth area for NPD in low/no-alcohol, following the success of Seedlip, which was launched in November 2015. The brand is now stocked in more than 3,000 bars, restaurants and retailers, and founder Ben Branson says since this time last year, sales have grown by more than 1,000%. He says: “The world is at the beginning of a paradigm shift in how it drinks and, as global alcohol and sugary soft drink volumes continue to decline, the need to solve the dilemma of what to drink when you’re not drinking will only increase. Others are also looking at this market. Love Drinks is set to launch The Duchess into the UK off-trade early next year. The drink is a non- alcoholic gin and tonic, which is low in sugar and sweetened naturally. Samantha Burke, head of sales and marketing, says: “We always aim to bring innovative products to the UK market for the benefit of our consumers – products within the drinks market that fill a gap. Tesco has also introduced cans of low-alcohol G&T, including a lower-calorie variant. Within wine there is a general movement away from punchy, high-abv drinks, and naturally lower-alcohol wines are in favour. This has helped open the doors for NPD in no and low- alcohol variants, and sales for both of these are in growth. B by Black Tower is one brand that is pitched as “a low-alcohol wine that actually tastes like wine”. Available in white and rosé, it is only 5.5% abv, as well as being lower in calories at 55 per 12.5cl glass. Others have turned to fruit fusion or fruit- flavoured wines as a way of tapping into interest in lower-alcohol options. Simon Oastler, marketing director for Broadland Wineries, notes that, although the low and no-alcohol wine segment is seeing some growth, there are challenges that the industry needs to be mindful of. He says: “Scepticism about a lack of taste and flavour remains a significant barrier to trial. Creative approaches to blending and flavouring no and low-alcohol wines can help address this challenge, which is an area where our expertise in British-made and fruit fusion wines provides us with an advantage. Consumers are definitely becoming more mindful about what they are drinking and there are some retailers that are compiling a good range, but is the off-trade taking this category seriously enough? Fink at Big Drop says: “Within no/low-alcohol beer we have started to see retailers’ ranges expanding beyond just lager and wheat beer, bringing a much wider group of drinks into the category. “The one thing that retailers can do to move their drinks range to the next level is to understand the category themselves and educate the consumer. Fink continues by saying that, in his opinion, it doesn’t make sense to have an alcohol-free section comprising only drinks below 0.05% but then to stock a 0.5% abv beer alongside a range of stronger beers up to 8% abv. Oastler at Broadland says it is encouraging to see retailers starting to signpost no-alcohol products clearly in store. And Branson at Seedlip agrees that retailers are making some good efforts to tap into the growing consumer interest in this category. Added to this, Branson notes that for retailers, building strong partnerships with suppliers is crucial in helping to develop this category. “As this is such a new space it is about partnership, learning and trialling to really understand the drivers for this new non- alcoholic category,” he says. Meanwhile, Magnall at St Peter’s says he is pleased with how some retailers have taken to the category, but says there is still work to be done. He says: “I believe that some retailers and buyers believe they have it covered by carrying the same few brands and are guilty of seeing the category as very small and inconsequential. “It is currently 1% of the market, but if the likes of us and the world’s largest brewer (AB-Inbev) believe it will be 10% in five to 10 years time, then suddenly the category could be worth £300 million, which is hardly inconsequential.